MOSCOW (Sputnik) - The US Federal Aviation Administration (FAA) said Wednesday it would order inspections of certain jet engines after a lethal incident this week involving a Southwest Airlines flight. "The FAA will issue an Airworthiness Directive (AD) within the next two weeks that will require inspections of certain CFM56-7B engines," the air safety regulator tweeted. The directive will require ultrasonic inspections of fan blades when they reach a certain number of takeoffs and landings, according to the statement. "Any blades that fail the inspection will have to be replaced," the regulator stressed. 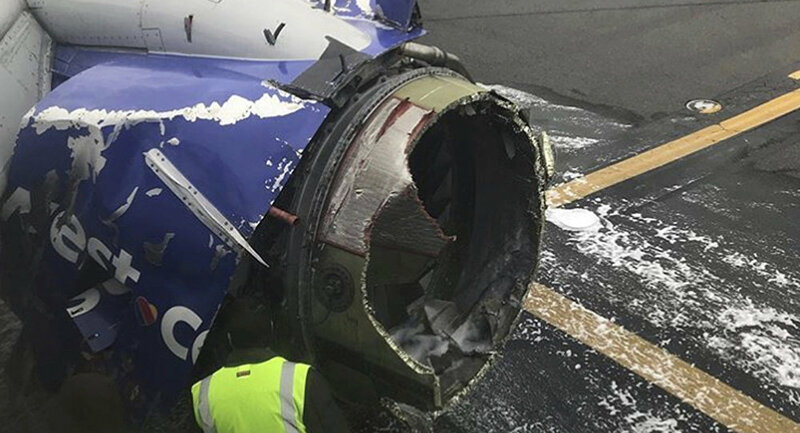 A fan blade reportedly broke off at the hub of a Southwest Airlines Flight 1380 engine, which exploded in mid-flight. The blast damaged the fuselage and smashed a window, nearly sucking a female passenger out. The woman died, while several other passengers were injured.